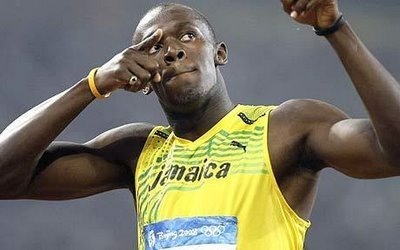 Usain Bolt has surely made his fellow islanders (including my whole family) very proud. Not only has he firmly put his name in the track and field history books and can be seen doing the latest dancehall moves in video and at clubs. He is now being given a honorary doctorate by the Queens University London. He will be honoured amongst other great people such as Nobel Prize winner from India Professor Amartya Kumar Sen and many others. Now let us see and admire what Bolt achieves next! !